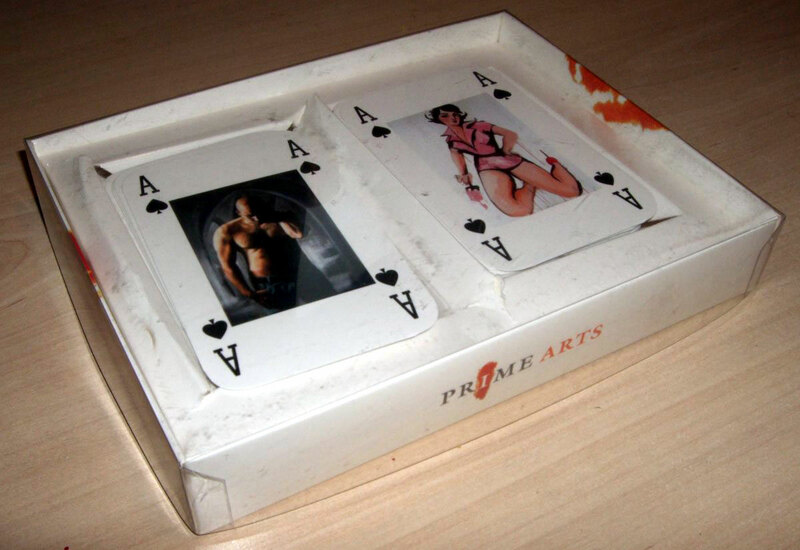 Prime Arts playing cards were published in 2004 featuring the work of contemporary artists, illustrators and photographers. Although the design of the cards is very basic - a rectangular image with no caption and four corner indices - the idea was to celebrate fresh, imaginative and inspirational works of art. Their motto was: “Prime Art is about Art - because Art is about Life.” Prime Arts Ltd were suppliers of framed pictures, picture frames and art prints which sadly went into liquidation in November 2014. Above: Prime Arts playing pards were published in 2004. This is a two-deck pack. 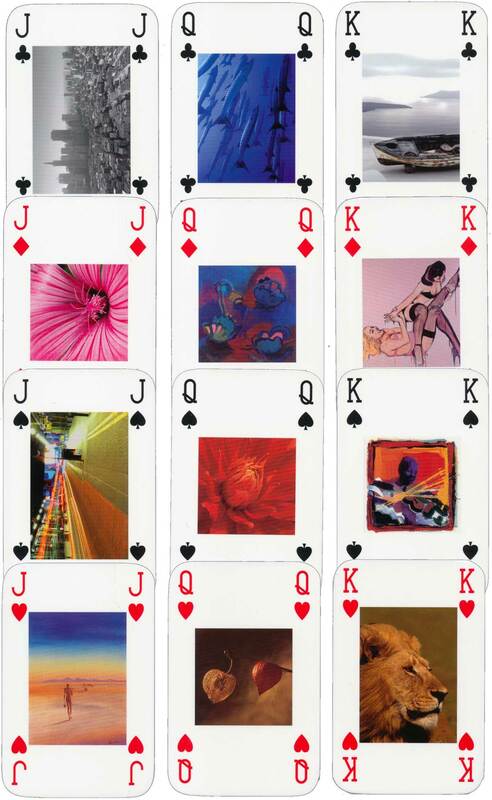 The backs are identical, so which cards originally belonged to which deck is indeterminate, but the faces are different (including the jokers) in each of the two decks. See the box. Images courtesy Matt Probert. Although the artists are not individually credited on the cards, the following internationally established artists were being published by Prime Arts at the time and their work appears on the cards: Patrick Ciranna, Tom Rickman, Kate Philp, Tony Hudson, Tilly Willis, Wendy French, Ruth Brown, Amy Rice, Bea Last, Barnaby Menage, Michelle Buhl-Nielsen, Patrick Bradfield, Axterdam, Marga Kramer, Ian Francis, Jonathan Sanders, Oliver Pengilley, Frank Hill, Lisa Martin.